Our vast inventory of quality high pressure hydrostatic testing equipment ensures we have the system you require. 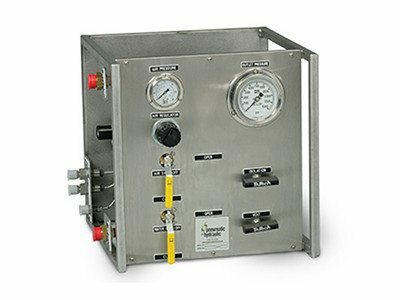 Pneumatic and Hydraulic Company’s high pressure hydrostatic testing systems are safe and easy to operate for a vast variety of liquids and gases. 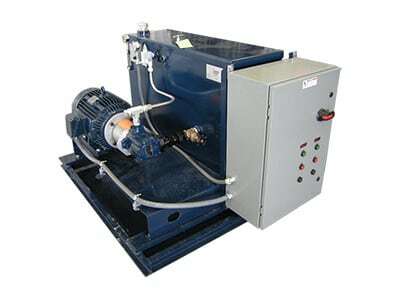 In addition to our standard systems, we build custom high pressure test systems to your specifications. Pneumatic and Hydraulic is a stocking distributor of all components in our systems enabling us to build a cost-effective, reliable system fully customized to your needs. A wide variety of safety devices are available with any of our high pressure testing systems to ensure maximum safety for all of your operating personnel. Pneumatic and Hydraulic’s experienced engineering team is also available for on-site consultations as well as start-up services should you need.